Rob Kearney will captain a much-changed Leinster side when they take on Ulster in the Guinness PRO14 this Saturday. Leo Cullen's side welcome the northern province to the RDS for a 17.15 clash, with Leinster making a number of changes to the team that was beaten by Munster at Thomond Park last weekend. Noel Reid is the sole survivor at inside centre, with Conor O'Brien partnering him at number 13. Rob Kearney returns from injury to captain the side at fullback, with Jack McGrath also coming back into the side at prop after a hip injury. Second row Oisin Dowling is in line for his first Leinster appearance after being named on the bench. In an interesting selection decision, Ciaan Frawley has been picked at out-half ahead of the more experienced Ross Byrne. For Ulster, Dan McFarland has rested his big guns ahead of the huge Champions Cup clash with Racing 92 on January 12. Alan O'Connor captains the side at second row, with Sean Reidy at flanker and Darren Cave at outside centre the only international players in the team. Subscribe to The Left Wing, Independent.ie's Rugby podcast, with Luke Fitzgerald and Will Slattery for the best discussion and analysis each week. From in depth interviews with some of Irish rugby's biggest stars to unmatched insights into the provinces and the national team, The Left Wing has all your rugby needs covered. CIan Tracey In their dismantling of Munster last weekend, Saracens gave an exhibition of how to play a referee and push the laws to the limits. 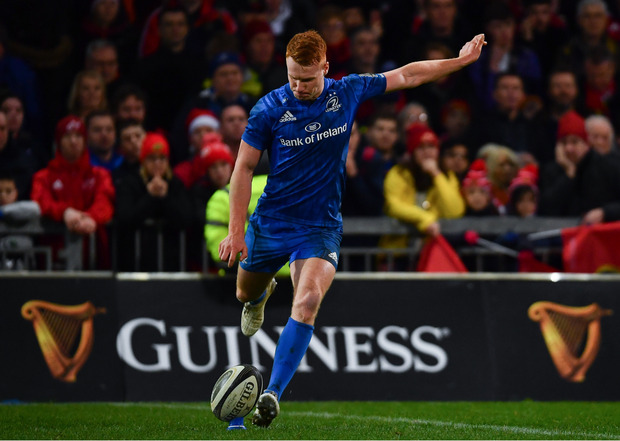 Neil Francis There was a brilliant moment in the middle of the Leinster versus Toulouse Heineken semi-final at the Aviva.